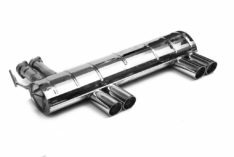 The Supersprint Race mufflers are a freer-flowing version of the standard Sport mufflers for the F10 M5. 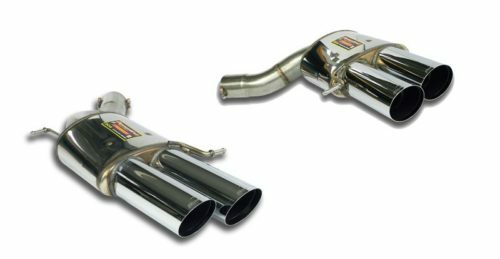 Where the Sport mufflers make an aggressive but muted growl, the Race mufflers let you know they're there. 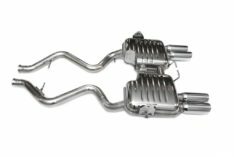 The Race system is an excellent alternative to running a muffler-delete modification as the throaty burble of the V8 comes through but without the added volume of running without mufflers. 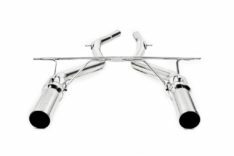 These are still straight-through, minimalist muffler designs so some additional noise and drone is to be expected.